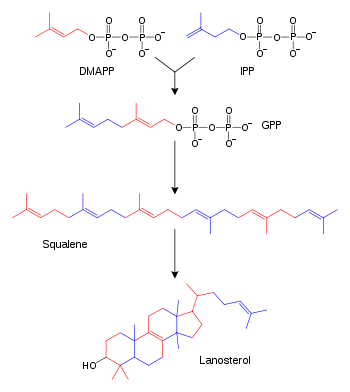 Dimethylallyl pyrophosphate (or alternatively, -diphosphate(DMADP)) (DMAPP) is an intermediate product of both mevalonic acid (MVA) pathway and DOXP/MEP pathway. It is an isomer of isopentenyl pyrophosphate (IPP) and exists in virtually all life forms. 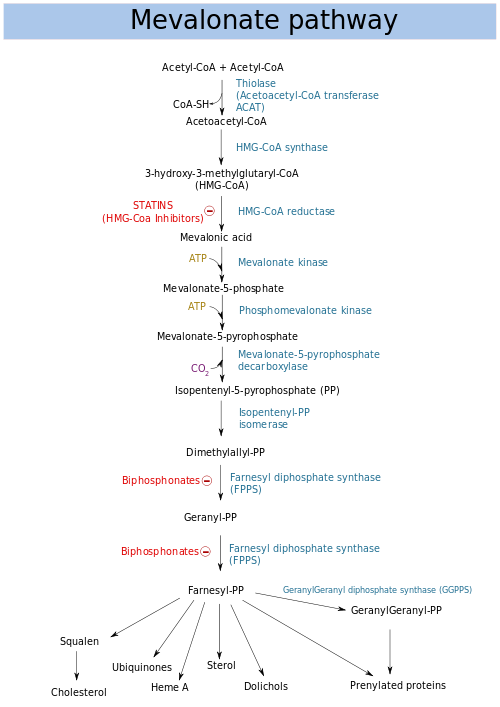 The enzyme isopentenyl pyrophosphate isomerase catalyzes the isomerization of DMAPP from IPP. Precursor of DMAPP in the MVA pathway is mevalonic acid, and HMBPP in the MEP/DOXP pathway. At present, it is believed that there is crossover between the two pathways in organisms that use both pathways to create terpenes and terpenoids, such as in plants, and that DMAPP is the crossover product.